is the Chair, Board of Directors of Internet Society (ISOC) Islamabad Chapter (2014-2019) and is one of the foundin members of the chapter. He is a professor and Dean, QEC at Capital University of Science and Technology (CUST), Islamabad. He did his PhD from University of Paris-Sud, France. Since 1997, he is actively involved with Internet Engineering Task Force (IETF) and is also a co-author of an RFC on MANETs. He is also involved with Internet Corporation for Assigned Names and Numbers (ICANN), since 2012 and served as a member of ICANN Nominating Committee (2014-2017) representing APRALO-ALAC, and currently serving as Fellowship Selection Committee (2018-2020), representing RSSAC (Root Server System Advisory Committee). 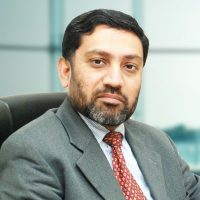 He is the Member Board of Directors of Pakistan Internet Exchange (PKIXP). 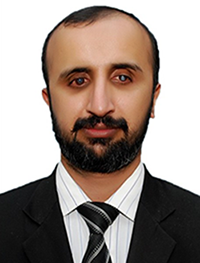 He is actively involved with IEEE activities since 2004, and currently serving as the Chair, IEEE Islamabad Section (2017-2020), and also served as Chair Professional Activities (2014-2016), Chair IEEE Computer Society Islamabad Chapter (2009-2014), and the Secretary and Treasurer of the section (2011-2013). He is the founding Director of Center of Research in Networks and Telecom (CoReNeT), and is the Project Director of many national and international funded research and development projects in the domain of wired and wireless networks. He is also the founding member Board of Directors of Pak France Alumni Network (PFAN), and also served as its President (2012-2014). He is also a philanthropist and actively involved in community service and social work. He is the Chairman and member Board of Trustees of Rifah Trust (for education, health care and community service), member Board of Trustees of Ehsas Trust (for education), and member Board of Directors of Meethi Zindagi Foundation (for health care of diabetic patients). is member board of directors ISOC Pakistan, Islamabad Chapter. He is serving as Research Associate at Institute for Strategic Studies, Research and Analysis (ISSRA), and pursuing his PhD in International Relations from Faculty of Contemporary Studies, both at National Defence University Islamabad. Working in the domains of international relations and internet governance, he has a number of publications and international fellowships on his credit. He has also been working for the organizations of persons with disabilities since 1997 as volunteer, have held different offices and performed other related tasks. He is also the member of International Political Science Association (IPSA), Islamabad Council on World Affairs (ICWA), Pakistan School on Internet Governance (PKSIG) Steering Committee, and member of Multi Stakeholder Group of Pakistan Internet Governance Forum. His areas of interest include: Pakistan Russia relations, great power politics, South Asian security, Middle Eastern Affairs, Pakistan’s foreign policy, internet governance and disability studies.